Which stinks because I absolutely adore the way it looks and am always envying folks who can pull off flawless winged liner. I want to be one of those people! 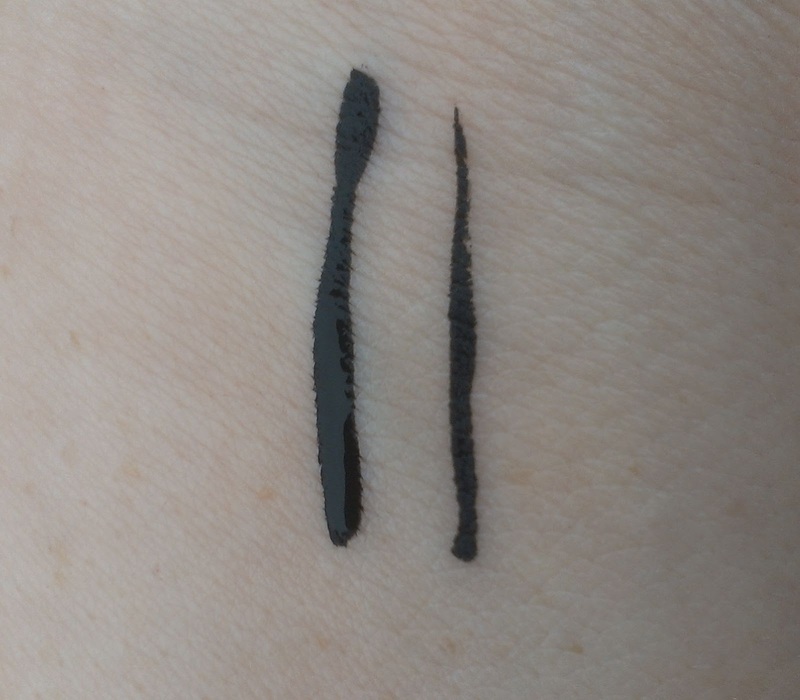 When the Balm was last on Haute Look, I decided to pick up Schwing, their black liquid liner - mainly because I love the Balm and want to try every single product that they make, but also because I keep hoping that one day I'm going to find that one special liquid liner that turns me into an eyelining pro. Now, after trying Schwing, I can say that while it isn't that magic liner, it comes pretty close. The best thing about it is its applicator. It's a felt tip - which is really the only kind of liquid eyeliner that I will even attempt to use. I'm hopeless with the little brush style applicators - but it has just the right amount of give to make applying a smooth, even line super easy. 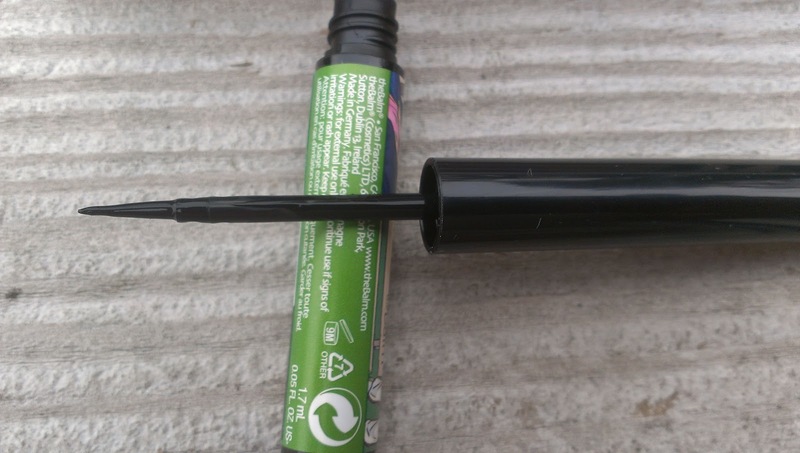 While it's flexible, the felt tip has enough resistance to keep the liner from skipping all over the place. I've applied the liner about five times and each time I've managed a pretty much flawless line. For me, that's got to be a record. The liner itself is a deep dark black that has a slightly glossy finish. Now, personally, I don't wear liquid liner that often so I'm willing to deal with a less than stellar formula if the applicator is good enough to turn me into a liner pro. But if you are not liner challenged like me and actually wear liquid liner on a regular basis, I think you can probably find a better formula than this one. Actually, I'm sure you can. Try Smashbox's Limitless Waterproof Liquid Liner Pen or Urban Decay's 24/7 Waterproof Liquid Eyeliner. However, once again, the Balm gets serious points for its packaging. As a baseball fan, this may be my favorite artwork of theirs yet. What's your favorite liquid eyeliner? Any tips or tricks for applying it effortlessly? HI! TheBalm is on Hautelook and I wanted to know what was the wear time on this eyeliner? Seriously, I am a big fan of this liner - it's the easiest liquid liner to apply that I've ever found, hands down.